Here's a quick recap of our adventure in ASIA so far for the year 2008 for those who're checking this out from the U.S. and elsewhere. I post this because these are events that took place prior to the start of this blog. We'll try to make it quick. HAPPY NEW YEAR in Hong Kong! We got to HK just before the new year. 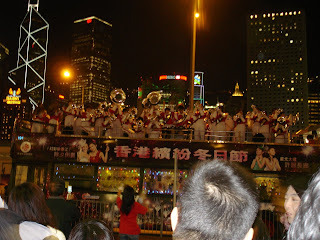 I think this was New Year's Eve in Central, near the ferry pier. 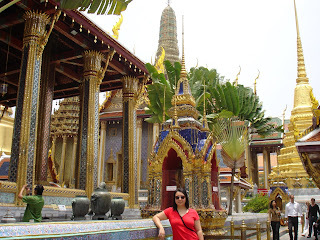 This is So Jene inside the royal palace in Bangkok. We were there only for a weekend, but saw some sites and ate really well. Here is another photo of Bangkok. 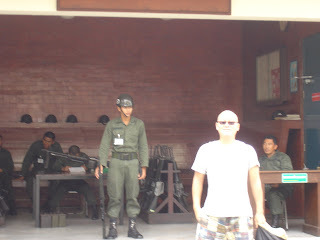 You do see a lot of military guys in Bangkok, guarding stuff. 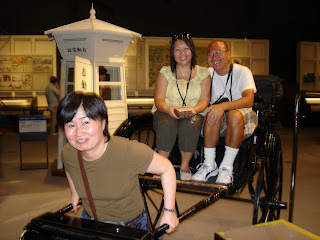 This is us in Tokyo, at an exhibit inside the Edo Museum. Our rickshaw puller is our friend Akiko, who was so incredibly sweet and made our trip especially memorable. The above is footage of tuna at Tsukiji Fish Market. We don't have pictures, and you'll have to take our word for it, but she took us to the famous sushi place next to Tsukiji Fish Market. While we were eating sushi, the best we've ever had, in comes Bobby Valentine, former manager of the NY Mets. It turns out he's like a regular there and speaks pretty good Japanese. Go METS!!! 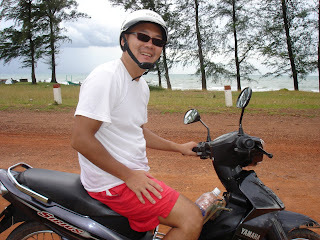 This is me in Phu Quoc, Vietnam, riding around like the locals on a moped on dirt roads. The locals usually ride two adults, one kid, plus cargo on one of these. Here is also footage of Saigon and the mopeds that cover the streets there. You have to see it to believe it. In addition, we saw Sydney, Singapore, South Korea, and Macau. The strange thing is, as close as we are to China, we have not yet gone. It was the hassle of getting a China Visa w/ the Olympic brouhaha and all that. We'll get to it, though, probably early 2009. That's about it for now. Hong Kong is a great base to travel to the rest of Asia! !